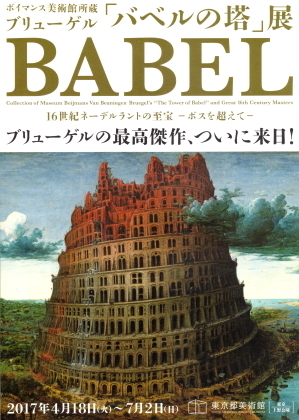 TokyoMetropolitan Art Museum will host the exhibition, “Collection of MuseumBoijmans Van Beuningen Bruegel's ‘The Tower of Babel’”. 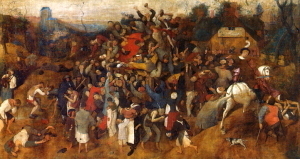 One of the most famous works inMuseum Boijmans Van Beuningen’s collection is the ‘The Tower of Babel’ byPieter Bruegel the Elder, painted around 1560. 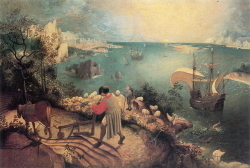 Zoom in on the details and richhistory of this painting, which still captures our imagination. 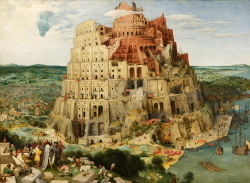 The story of the Tower of Babel contains auniversal message. The biblical construction of the tower symbolises man’sambition to attain the highest possible goal. 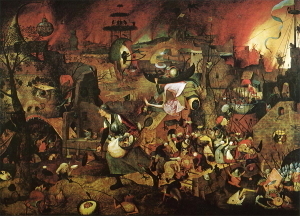 It also symbolises the eternalstruggle between mankind’s ambition and his hubris, which is mercilesslypunished by God. 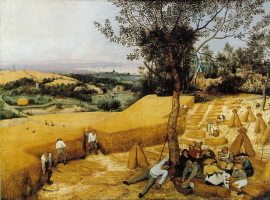 Mankind blindly trusts his own capabilities and the unbridledpossibilities of technology. 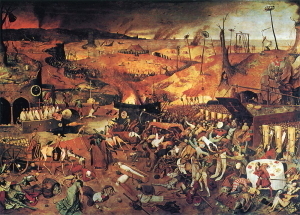 God’s punishment of this arrogance symbolisesman’s insignificance and mortality. 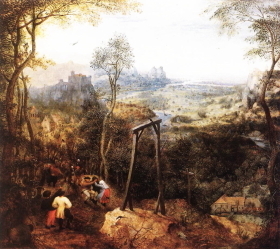 Bruegel too is somewhat vain in his attemptto paint the tower that was designed to reach to the heavens, thus reinforcingthe message of the story. 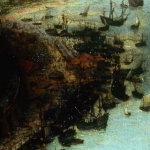 In Bruegel’s depiction of ‘The Tower of Babel’, God’spunishment has not yet been enacted: the bricks are still being carried up thetower and the harbour below is a hive of activity. 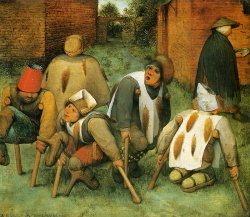 Bruegel has given remarkable considerationto the colouring of the tower. At the top, the bricks are still bright red, butin the lower levels they have weathered and become lighter in colour. 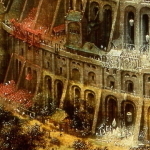 This subtlety of detail is also visible in the artist’s depiction ofthe human activity around the enormous tower. 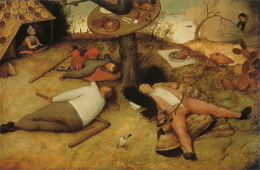 Bruegel has painted more than athousand people. 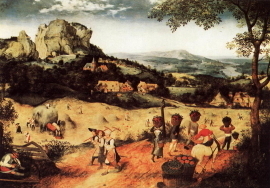 On the left at the foot of the tower men can be seen carryingsacks filled with lime, used for making mortar, to the top of the tower, hencethe white strip going up the tower. To the left of it is a red strip, whichmarks the passage by which bricks were hoisted up the tower. A procession can be seen on the third level of the tower, passing byan arch in the form of a church window. Below the procession, knights onhorseback are climbing the tower. There is also a great multitude of smallhuman figures in the harbour beneath the tower. Ａ new command I give you: Love one another. As I have loved you, so you must love one another. Jesus Christ. The words of Jesus Christ are life changing and timeless. When Jesus spoke, lives were transformed and the trajectory of life forever altered. He tells us that He is "the way, the truth and the life" (John 14:6), and His words have remarkable power. Whether you are just beginning to seek Jesus or have been a believer for years, the Word of God can always speak new truths into your life!.So I say to you, Ask and it will be given to you; search, and you will find; knock, and the door will be opened for you. Jesus Christ God loves you and has a plan for you! Modern people are not aware of their foolishness and arrogance, please guide people who are building building towers like ba nuclear power and artificial intelligence. Please congratulate mankind. .
he Bible tells us to love our neighbors as ourselves. Surely part of loving in this way is trying to understand what another person wants us to understand. Ｉmay not understand perfectly and I may not agree, but if I love you I should try to know what it is you wish I could know.